Comparing the militaries of the United States and North Korea. Tensions between North Korea and the U.S. have been on the rise for months now and it looks like war might be a possibility, but how would the two countries stand against each other? Both countries have been loading up on weapons for decades now, but which country is more prepared? This head to head will be based on available manpower, modern weapons, air force strength, navy strength, and allies. The U.S. is the number 1 military powerhouse in the world, but that doesn’t mean North Korea can deal damage. Manpower: The U.S. has roughly 1.3 million active duty troops and about 1 million reserve troops, according to Global Firepower Index. 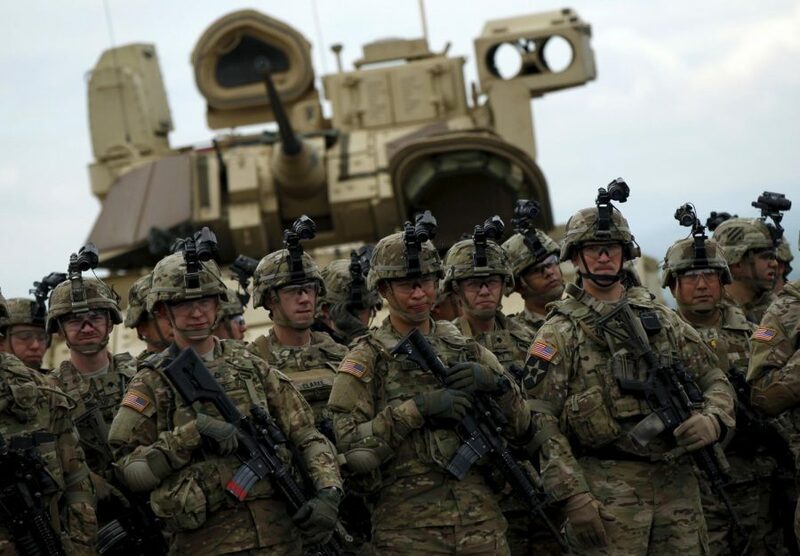 On the other hand, North Korea has 1.1 million active troops, but many more reserves at 5.5 million, giving them the fourth-largest army in the world, but more troops doesn’t always mean better. Air Force: The U.S. heavily outnumbers the North Korean air force having roughly 13,760 aircrafts compared to North korea which has under 1,000 aircrafts available. Also the aircraft in the North Korean airforce are outdated. Land vehicles and Navy: The U.S. has 5,884 combat tanks and 41,062 armored fighting vehicles. The Navy has 415 ships including 10 aircraft carriers also including the largest defense budget in the world at almost $600 billion. 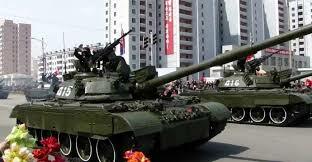 The North Korean military has 5,25 combat tanks(many being outdated russian tanks), 4,100 armored combat vehicles, and a defense budget of $7.5 billion. North Korea has a large navy with 967 ships, but 468 of them are just patrol vessels and 0 of them are aircraft carriers so overall the North Korean weapons are very overmatched in numbers and technology. Another factor is that the weapons and troops are at a disadvantage in North Korea even though they have more reserves. North Korean soldiers are known to be extremely malnourished. A North Korean soldier who defected to South Korea in early November was found to have many unusual parasites(one as long as 10 inches) and raw corn kernels in his stomach. It would be hard to imagine that the troops would be able to last long in a war. Nuclear warheads: This is the biggest concern from North Korea being that they are believed to have 25-60 warheads based on assessments from the U.S. intelligence community and independent experts. The big problem is if North Korea has the technology to even reach the United States and even more not get shot done beofre even coming close. On the other hand, the U.S. has the second largest nuclear arsenal behind Russia. The U.S. has roughly 6,800 warheads, 1,800 of them deployed, 4,000 stockpiled, and 2,800 retired. Another advantage for the U.S. is that we have missiles that can easily reach Korea’s mainland. North Korea may be able to cause some damage to the U.S. and damage to other countries like South Korea and Japan, but in the end they will be obliterated by not just the U.S. , but by South Korea, Japan, Russia and any other country they anger. So a war with North Korea will probably not happen.